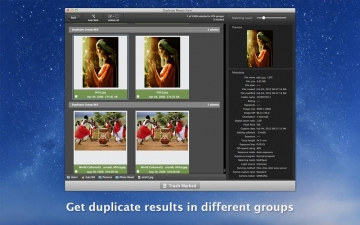 [無料] Duplicate Photos Fixer | Mac App Storeのアプリ検索・ランキング BuzzMac! Duplicate Photos Fixer is an ultimate photos fixing tool that smoothly scans and deletes duplicate or similar photos depending on the matching level you choose. This captivating tool works with photos from iPhoto, along with photos from external storages and your system’s hard drives as well. 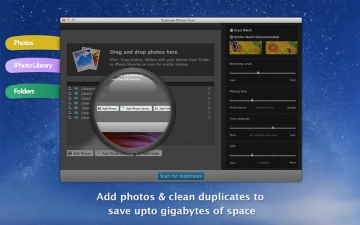 Free up ample of disk space by deleting a large number of similar and duplicate photos in just a click! So whether you have taken photos in burst mode, resized them, or HDR photos it will find and list them in groups. 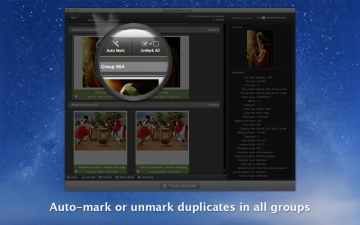 Why use Duplicate Photos Fixer? Simply drag and drop folders to easily scan for photos inside them. 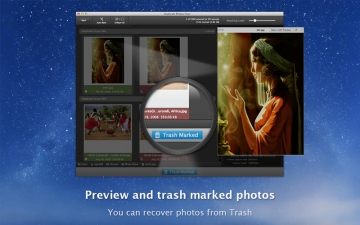 You can add more photos from your iPhoto library and other folders as well. Duplicate Photos Fixer is extremely fast when it comes to scanning and comparing a large number of photos within seconds. This is due to the powerful algorithms injected during the development of this tool that make the search of duplicate photos extremely fast, giving excellent comparison results. The interface of Duplicate Photos Fixer is designed in such a way that all occurrences of photos are classified into different groups and are viewed as large photos group in each line.